The Petition demands immediately halt to playing the trailer on TV channels or social Media. Khiladi Kumar’s much-awaited film Jolly LL.B 2 met with a controversy when Advocate Ajaykumar S Waghmare filed a petition in Bombay High Court, saying that the word LLB should be removed from the film title ‘Jolly LL.B 2’. The petition says that many scenes in the trailer show characters playing cards and dancing in the court premises hurt the sentiments of the lawyers and the trailer clearly shows disrespect for the Judicial discipline and preceding ethics. Waghmare also requested in the petition to immediately stop playing the trailer on TV channels and social Media. Jolly LL.B 2 is a courtroom drama directed by Subhash Kapoor. The petition will be heard before a Divisional Bench of Justice V M Kanade and Justice Sangitrao Patil on January 24. The film is directed by Subhash Kapoor. 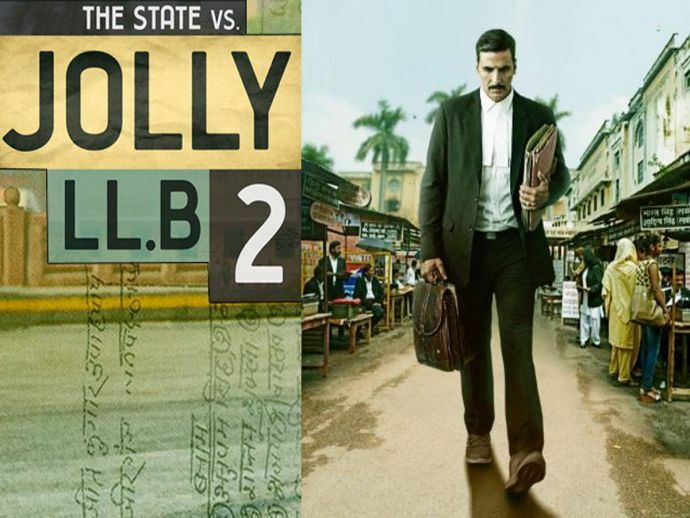 Jolly LL.B 2 is a sequel of Arshad Warsi starrer Jolly LLB that came out in 2013. Akshay Kumar will be seen playing the character of Jagdish Mishra in Jolly LL.B 2.